So a couple months ago I got a message on Youtube from supposedly Josie Maran (you know, the model and owner of the cosmetics line of the same name) which I was slightly hesitant about. She said she was a fan of my videos, but seeing as there are many PR companies out there that may scour youtube for young gurus to pimp their products, I had to ask if it was actually her! When a PR rep actually e-mailed me in following up, I asked straight up if it was THE Josie Maran and to my surprise they actually said it was indeed her who had messaged me. ^_______________^ Hehehehe. Please excuse me while I have a short fit of giggles. Say what you want about companies being all about the money; I still respect a company owner who would go out of her way to be personal in messaging people like that! I've been a fan of Josie ever since her modeling days so I am very much humbled that she would write to me. Anyway, the e-mail from her PR "people" asked if I would like to choose a few things to review and I heartily agreed. I will go over some of the other items I tried in the future but today I want to share with you my favorites of the bunch, two all-in-one powder palettes. The My Favorite Argan Powders palette was actually the very first thing I picked out from her whole product line. I had only read positive things about this palette from Makeup Alley, so I wanted to see for myself if it lived up to the rating. I love the ease of a palette but I'm pretty hard to please when it comes to multi-use palettes because it seems like there is always a fail or five folded into the package. Thankfully, this was not the case with this palette. Here's a swatch with no primers underneath. The shadows go on buttery smooth and surprisingly saturated. The clear winners are the chocolatey brown and the light copper. The matte brown on the far right could be more pigmented, but with a primer on the lid I've had zero problems with that shade as well. The only thing I would change about the shadows is that I wish the shimmery beige were slightly less shimmery and pink so it could be a more perfect brow bone highlight shade, but it's fine for highlighting inner eye corners and works on the brow bone with a light hand. What shocked me the most was how AWESOME the bronzer and blushes were! The texture is super creamy and all 3 colors were very flattering on my skin. Overall, I am in love with the fact that I actually use everything in this palette. Nothing is gone to waste, which is so rare! 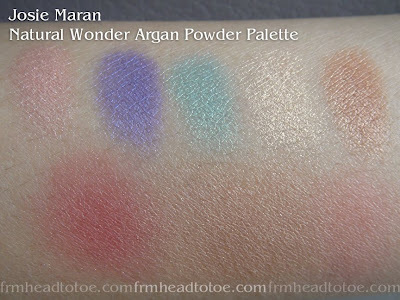 Second up is the Natural Wonder Argan Powder Palette which I was drawn to for the gorgeous-looking shadow colors. They look so happy and vibrant in the packaging and I was really hoping for a lot of color payoff. These colors went on buttery as well, but sadly some of the shades were not as amazing as with the My Favorite palette. The pink shade is a cute color for natural days and the purple is my favorite of this group which goes on a bright, true purple without the bluish reflection that a lot of my other purples have. The teal is quite pretty and very smooth but definitely not as pigmented in 1 swipe as I expected. The gold is perfect for inner corners, but again, not at all right for the brow bone. The copper here is very nice and is warmer than on the neutral palette. The blushes, the left one especially, is very vibrant and more suited for those with warmer complexions but all 3 are nice. I guess what made me the most sad about this palette is the fact that I would absolutely need other colors to balance this palette out. The shades themselves are nice but there is no highlight color and no contour/outer crease darker color. I would have gladly traded out the pink for another darker brown or even a charcoal grey to deepen the brighter shades, as well as the gold for a paler gold that would work for both the brow bone and inner eye corners. Here's an OOTD I did using mostly the My Favorite palette with a pop of the teal in the middle of the lid from the Natural Wonders palette, which mixed with the copper to create a pretty olive color. Notice how nice the blush/bronzer is (I used both here). Lips are just clear lip balm. Also, do you like my hat? Kitty ears! LOL! Sorry for the blurries but I didn't have another shot of the lid color! If you were curious about these palettes then definitely check them out because you will NOT be disappointed. The neutral one especially is a big winner and stands out among the rest of my makeup collection which, I'm not gonna lie, is not an easy thing to do. It's just so easy when everything you need is right there and everything in the palette is high quality, all natural, and chemical free. Disclaimer: Items in this post were sent to me for consideration by the company's PR. As always, these are my 100% honest opinions. That hat is super cute!! I'd love to see a video about hits and misses. I never really know what to avoid when I'm at a store! I can't believe Josie Maran would go out of her way to message you on Youtube. That is awesome! I would love to see a monthly favorite video or hits and misses.either one would be awesome. And thank you for the amazing review and swatches. I haven't been buying much shadows lately (yay go me) ever since I started using the nake palette. It had every color I need and I love it! But I have been going crazy over blushes! Thank you for this review!! Your OOTD is so cute! OMG! I am a big fan of Josie Maran makeup! her products are so gentle and colours are wonderful too. 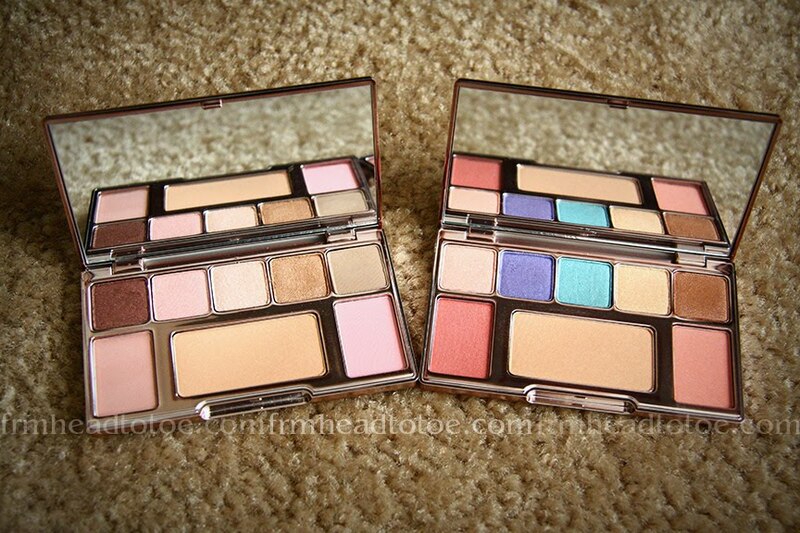 I have 2 of her palettes and LOVE them a lot. 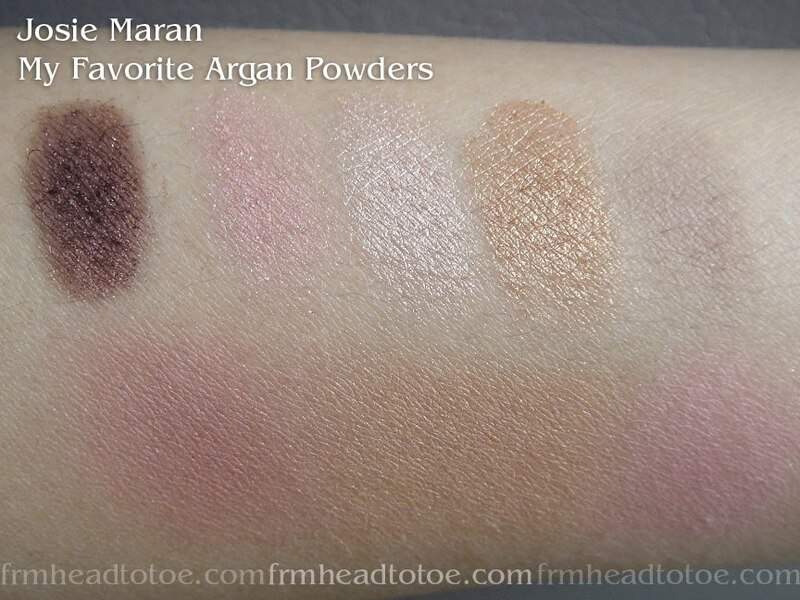 My recent discovery was her Argon Serum Foundation that really adjust its colour according to different skin tone. The most amazing product I have tried. The FOTD is cute and sophisticated at the same time! You are lucky to have Josie Maran to msg you. I'd love chitchat with her! by the way, my two palettes are the same as yours but mine didn't say they were Argon Oil infused, not at least how I remember. Maybe mine were older version. But honestly, they are very useful. the softest colour is enough to be used as a highlighter (in My Favourite Powder). The Natual Wonder Powder is a little bit more difficult to pull off but it's still wonderful. What I like the most are the blushes. You practically get most of her blush colours in 2 palettes. Well, I am a fan and will continue to try her products even thoughit's not available in Malaysia. I'd go all the way out to get them as I believe in the quality of them. It's a underrated brand, IMHO. That was really a nice personal touch. I have heard nothing but how nice and friendly she is. The palettes look very versatile; endless possibilities with various looks. 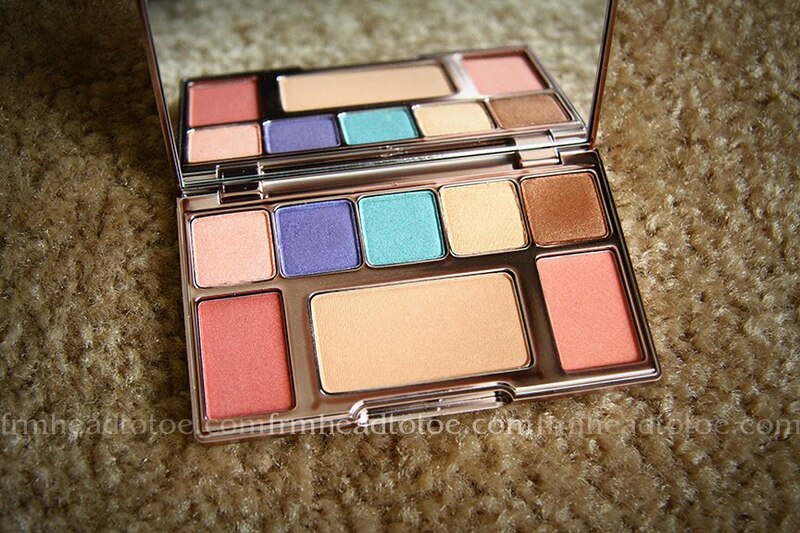 the second palette is so pretty, love the colors! so cute! you look super adorable! I hate lip products on palette too. I think it gets really messy and the quality isn't as good. 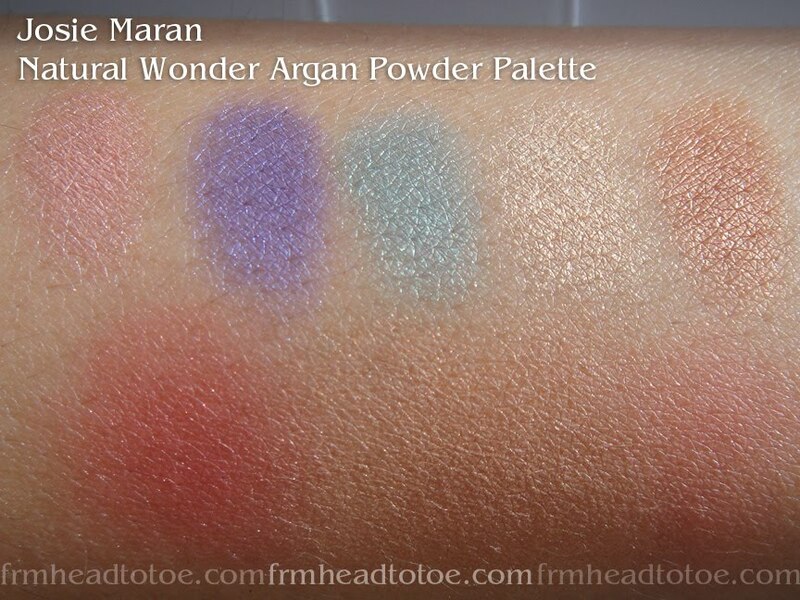 The two Josie Maran Argan palette looks really good and nice. I like the colors and design and the look you did is cute. YES, YES, YES!!!!! Please do a favourites video!! maybe even include some of your other favourites, such as lip products, and base makeup?? I feel the same way when i comes to palettes. I don't like when there is lip product included on the palette because they just look nasty to me.. and it ends up making the whole thing sticky sometimes. I sometimes will not buy a palette just because the lipsticks included. :D Nice review! 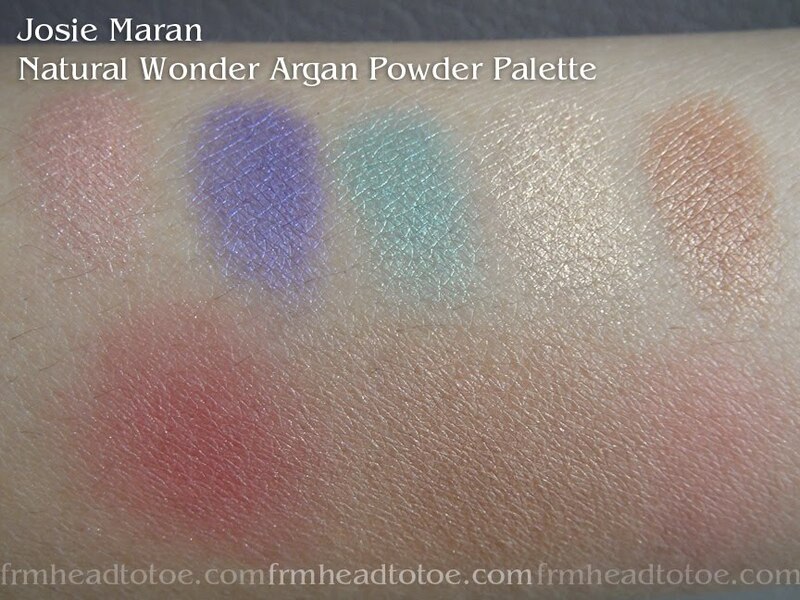 kinda disappointing about the Natural Wonders palette. the colors are nice for spring. 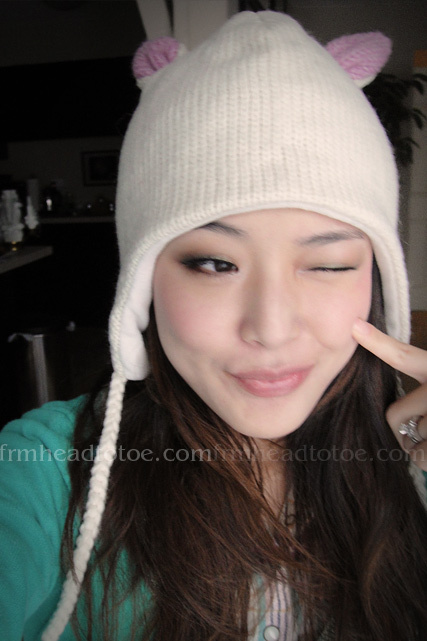 wooow.. your hat si sooo funny & sweet, love it & love how it looks on ya :) where did you get it? I love your blog! It is so inspirational. Do you mind sharing what kind of camera you use? Your pictures looks so great. ah! i want the My Favorites palette! is the bronzer dark? i was wondering if i could even use it as a face powder - i'm lightly tanned. i would love a favorites video! Nick and Sarah Leonard: I often use my Canon XSi DSLR but this post's photos were all from my Sony Cybershot T-90. The lighting makes all the difference! Elizabeth: The color of the bronzer is like in the swatch for me... light for a bronzer but shows up on me for contouring. I'm between NC25-30 if that helps! I would live to see a video! Great post. I love your blog/videos :) I think I chanced upon your "Perfect Imperfections" video and have stuck around since. You seem so candid and down-to-earth; it's very endearing! Anyway, do you take tutorial requests? I've been obsessing over a Lee Hyori look in a TV show appearance (Nolluhwah or Come to Play on 05/17/2010) for almost a year now, and I wanted a reliable makeup guru to break it down if possible. Her makeup, skin, and hair look awesome in general, but her eyes are especially amazing! I can't figure out what color contacts she's wearing, but there's like a clear yet dark depth to them. If you can, thank you! If you can't, love you anyway! Wow! I remember you telling me you got these a long time ago. That is what i love about you Jen. You take your time to test out a product. I am so going to the mall this weekend and get myself the neutral palette. This is so cool! I love the softer natural shades too :). hi jen~ this isn't about your post but i wanted to do a request :) i have a lot of scars on my legs from when i was a kid. i used to not mind them when i was younger but now i'm more self conscious about them. can you do a tutorial on things we can do to cover up leg scars and how to eventually get rid of them? thanks! I'm here to say that I'd love to see a make up tutorial inspired in one of the looks from Christina Aguilera in the movie "Burlesque", did you ever see? They are very elaborate and I couldn't think of another person doing it besides you! Sorry for the inconvenient suggestion, as my comment is not about your post necessarily :S Btw, I loved your hat! Wow, you look beautiful! I love Josie Maran even from back when she was modeling - so glad her makeup line is doing well! Hi! I've been following your blog for a month now and love it! Thanks for all the time you've put into it. As someone who doesn't really wear makeup (just lip gloss and blush), would you be able to do a tutorial on using the Josie Maran Favorites Palette? 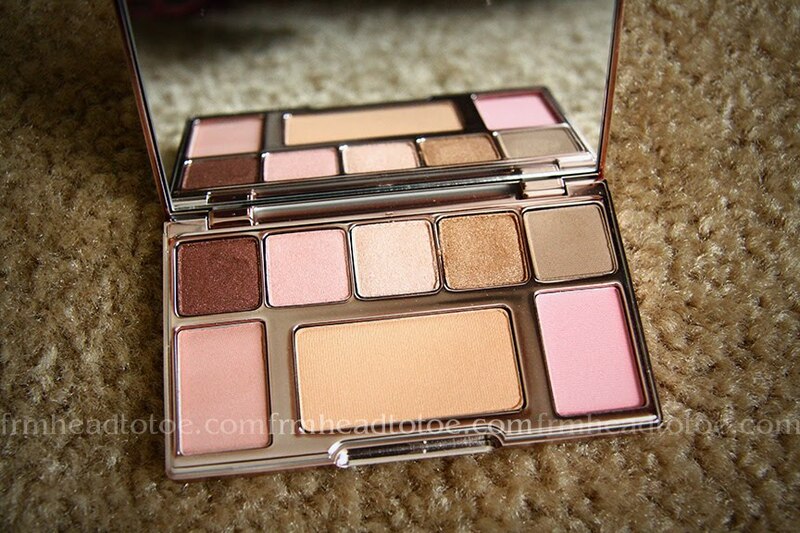 I'm interested in buying it but have no idea how to use the eyeshadow colors. I know you probably get lots of requests but wanted to put it out there. I got the Josie Maran My Favorite Powders Palette because of your good reviews! Thank you for the wonderfully honest and comprehensive reviews of the JM palettes. JM has restocked "My Favourite" so I'll definitely get that one. I was waffling between the "Natural Wonders" and the "Wildflowers", but I like the fun colours (and packaging! -- why does it sway me?) in Natural Wonders. The upside to these palettes being small is that I could bring 2 with me if I need to take both travelling.